We join it again on 20 May this year! 20 MAY EVENT TIME SCHEDULE , COMING SOON! March against Monsant in several hundred cities in the world on 20 May. 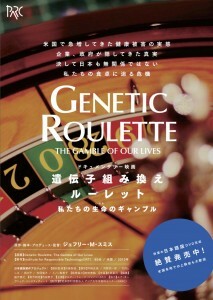 Nippon TOYOUKE Natural Farming is joining this event by holding a film screening event’Genetic roulette : The Gamble of our Lives’ by J. M. Smith in 5 main cities in Japan. to think about issues on natural seeds and food. Many of Japanese people do not even notice that thay eat a lot of GM food every day due to imperfect food labelling system in Japan, comparing EU countries. On the other hand, many countries such as European countries, Rossia, the intellectual class in the States have been shifting to Non-GMO for their health. GM food and livestock feedd that were rejected in these countries are drifting to Asian countries. Japan and China has already become the biggest importers of GM farm products (incl. livestock feed, oil and procesed food). 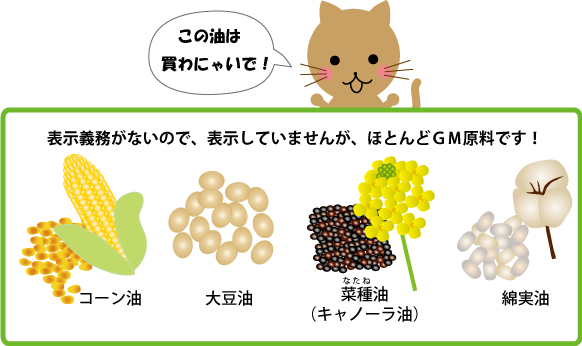 Japanese Ignorant and indifference to the issue on GMO are, in fact, having a big impact on happines and healthy of many people in the world and an ecosystem. Finding out the truth about GMO issue with accuracy. Let’s begin with choosing food and telling about the truth. ▼Guidance on Non-GMO Life that even monkeys can understand. Please do not buy this oil! March Against Monsant Day also picked up vaccine issues on their official website. Nippon TOYOUKE Natural Farming is going to hold the 6th Japanese agriculture and food symposium in Kyoto by Nippon TOYOUKE Natural Farming on 2 April 2017. The symposium is held for people to think of natural seeds, agriculture and forestry, safe food and health in mind and body. Trailer of the 5th Japanese agriculture and food symposium in Kyoto last year. Nippon Sogo Igakkai that has been consistently pursuing medicine that makes people to be healthy by dietetics.